Robert H. Quayle concentrates his practice in the field of general civil litigation with an emphasis on business law, employment law, and representation of non-profit organizations, religious institutions and public entities. He has successfully litigated numerous cases throughout Southern California in state and federal courts, and has also represented clients in alternative methods of dispute resolutions including mediation and arbitration. Mr. Quayle is also a frequent adviser and regular speaker at seminars in the areas of non-profit liability, religious institution disputes, alternative dispute resolution and insurance coverage. An active member of the community, Mr. Quayle is a member of the San Diego County and North County Bar Associations. Mr. Quayle serves as a member of the Pro Tem Settlement Panel of the San Diego Superior Court, North County Division. He has also served as Barrister with the Holmes Chapter of the American Inns of Court. 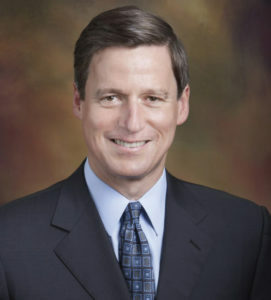 Mr. Quayle has also served on the Board of Directors of the Del Mar Regional Chamber of Commerce as its Treasurer, Vice-Chairman and Chairman of the Board. While earning his law degree from California Western School of Law, Mr. Quayle served as a writer and editor of the California Western Law Review.